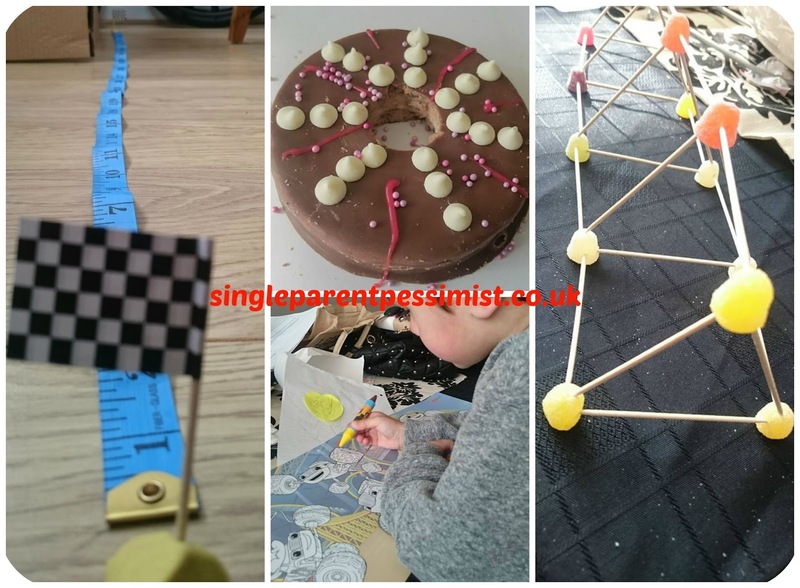 We had a Blaze and The Machines party yesterday which included four fabulous STEM activities that got their little brains working! STEM is learning through Science, Technology, Engineering and Maths and has become a really popular way to engage young children in learning recently. We had a group of six preschoolers and (age 3 and 4) and the theme was of course inspired by the NickJr show Blaze and The Monster Machines, meaning we got to try out some of the new Blaze toys from Fisher Price. Chunk's favourite was the Blaze Turbo Launcher which we used during the maths activity where they had to see who could launch a car the furthest. We built an assault course for the Blaze Transforming Jet which consisted of cocktail sticks and sweets to create as well as cardboard rolls stuck together to form a ramp. They looked great but it was so hard not to eat the sweets during the building process! My favourite part of the event was the food activity (obviously) and the kids loved turning wagon wheels into Blaze wheels. They decorated them with sweets, chocolate chips and icing and the aim of the activity was to encourage creativity eat gorgeous chocolate creations. Once we had completed all of the activities the kids got some cute goody bags loaded with stickers, colouring, sweets and healthy treats from Kiddylicious. It was an education, but very fun party and I plan to use some of those activities again soon. UK Mums have got a great Blaze product list which includes the range of Blaze toys that we got to try out during the party. 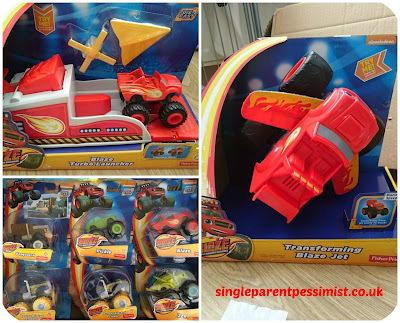 Chunk and his friends were provided with Blaze products to test for the purpose of this review. All opinions are honest and our own.